This is the perfect easy weeknight dinner. 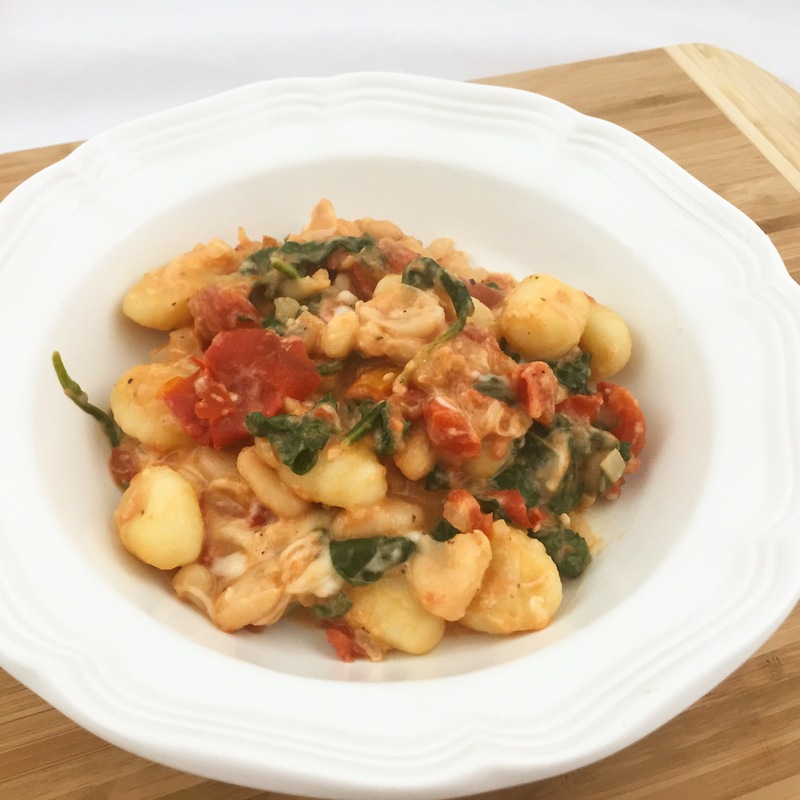 The gnocchi is cooked with tomatoes, spinach, and white beans in one pan. Of course, I also make it super cheesy with parmesan and mozzarella! 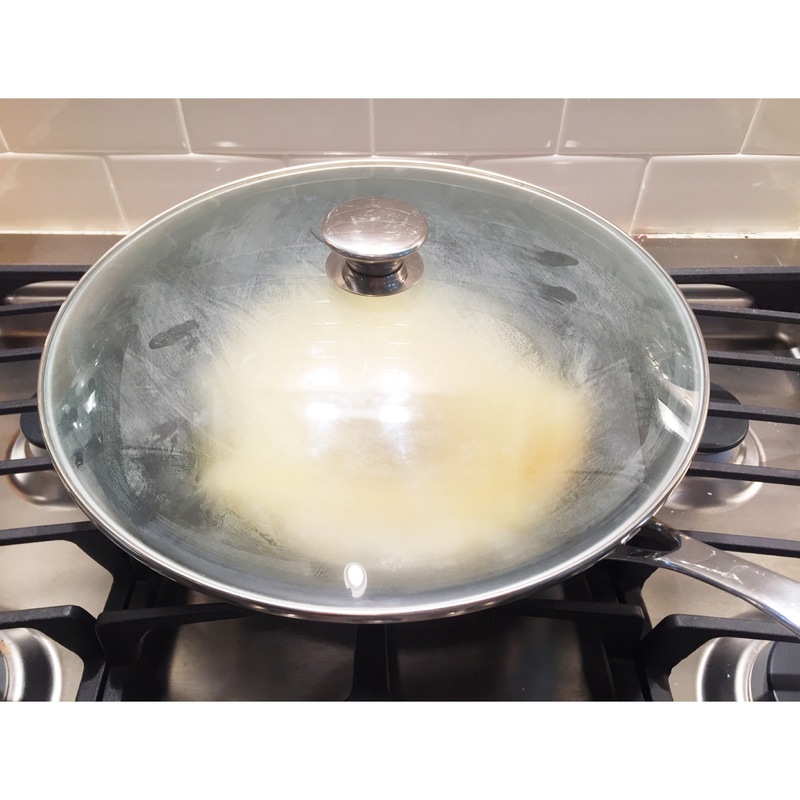 Start by heating 1 Tablespoon oil over medium heat in a large skillet. Add the gnocchi and cook for 5-7 minutes until they start to brown. Transfer the gnocchi to a bowl and set aside. 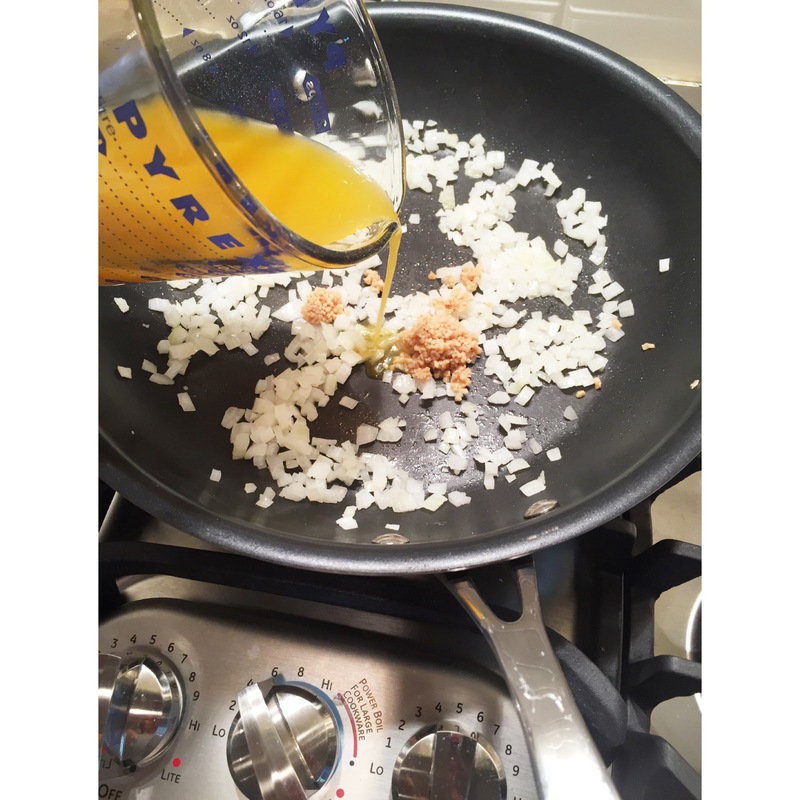 Add the remaining 1 teaspoon oil and onion to the same skillet over medium heat. Stir in the garlic and broth. Cover and cook for 4-6 minutes until the onion is soft. Add the spinach and cook 1-2 minutes until it has wilted. 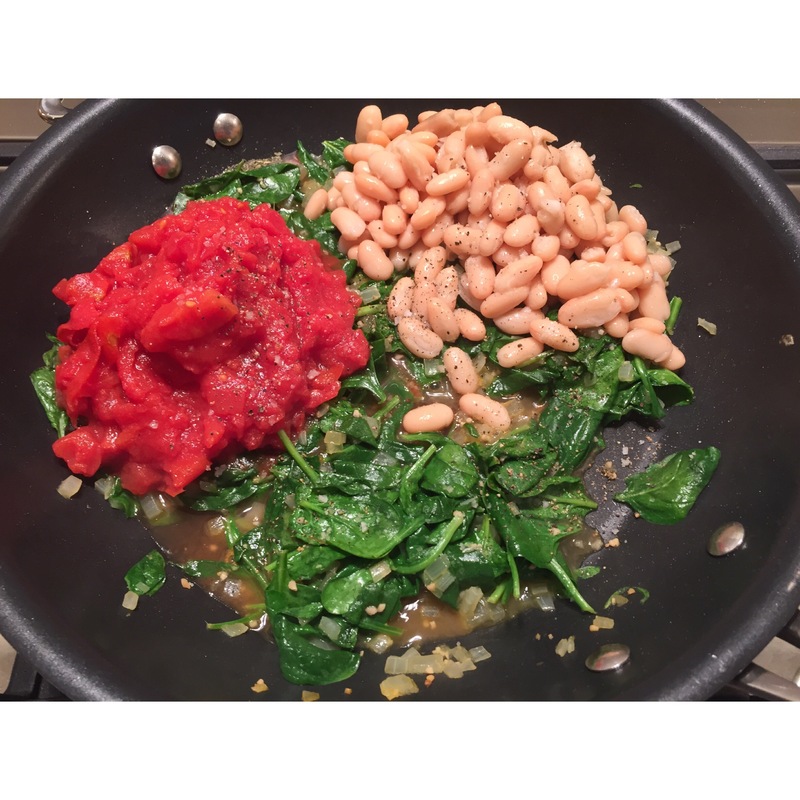 Stir in the tomatoes, beans, pepper and bring to a simmer. Add the gnocchi, parmesan, and mozzarella. Stir. Cover and cook until the sauce is bubbling and the cheese has melted. Of course, mine need a little more parmesan on top! Heat 1 T oil in large nonstick skillet over medium heat. 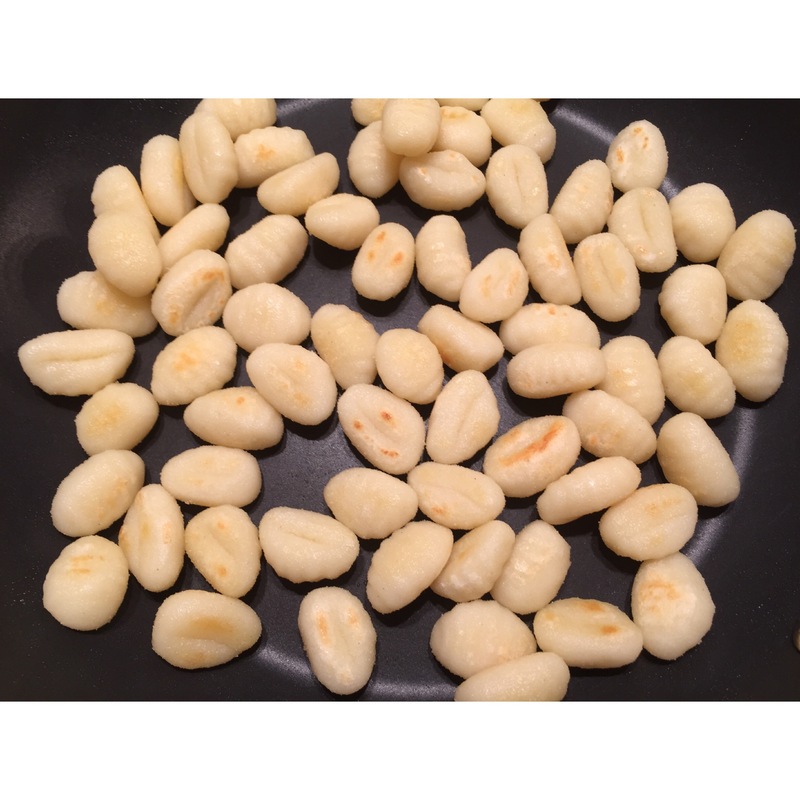 Add gnocchi and cook, stirring often, until plumped and starting to brown; 5-7 minutes. Transfer to a bowl. Add the remaining 1 teaspoon oil and onion to the pan and cook, stirring over medium heat for 2 minutes. Stir in garlic and broth. Cover and cook until the onion is soft, 4-6 minutes. 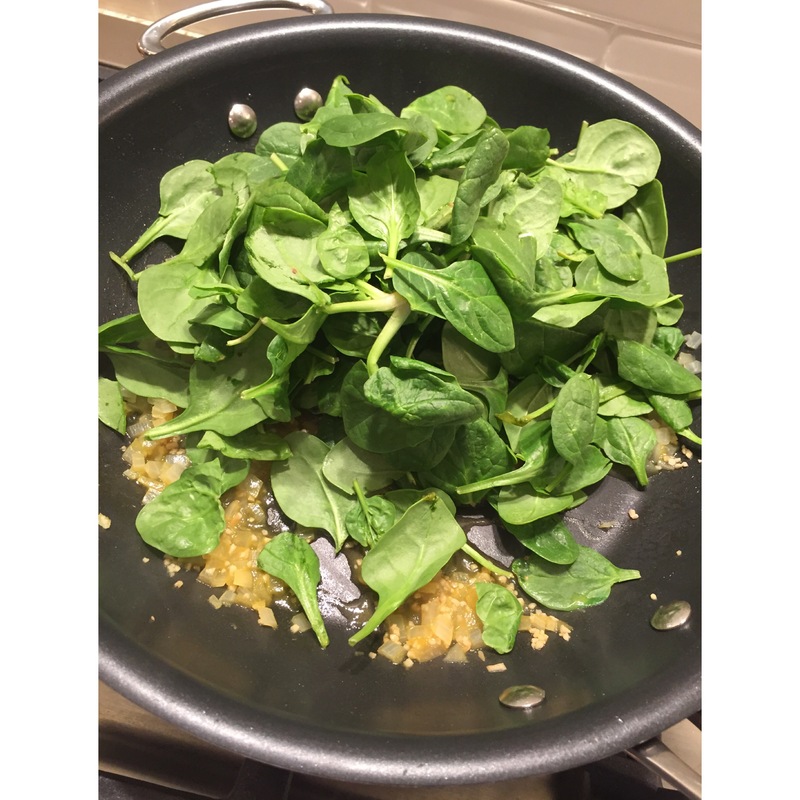 Add the spinach and cook, stirring until wilted, 1-2 minutes. Stir in tomatoes, beans, pepper, and bring to a simmer. Stir in the gnocchi and sprinkle with both cheeses. Cover and cook until the cheese is melted and sauce is bubbling, about 3 minutes. 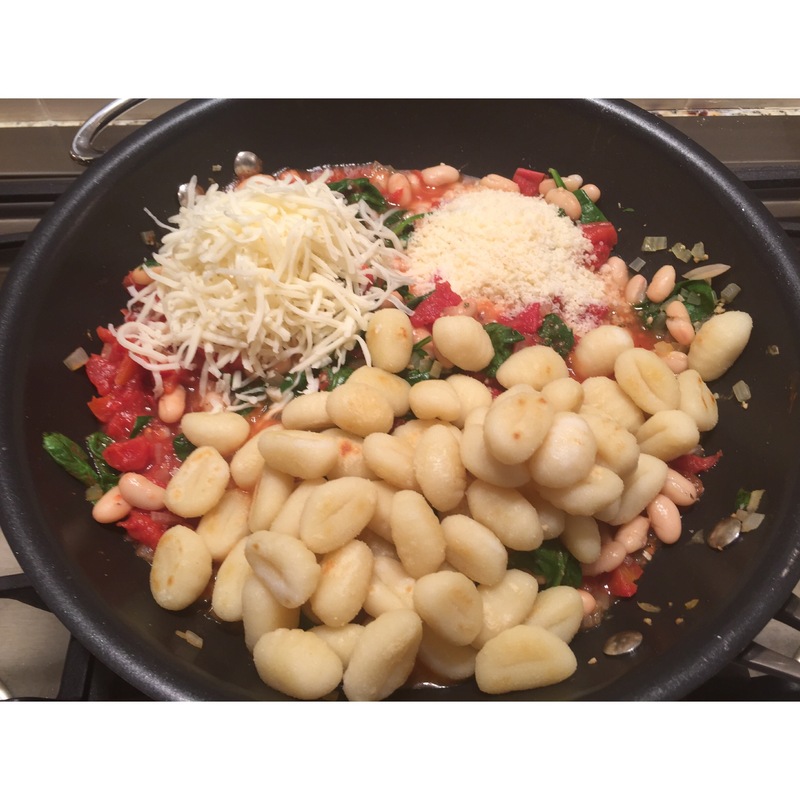 I have been waiting for the Gnocchi Recipe since you first posted that teaser pic in your other blog!!! Thank you!!! That and my current white wine obsession which is viognier is going to make me one happy girl! Thank you. Oh yum! Loving the uber-cheesiness of the gnocchi dish! And I’m a huge fan of one skillet meals so I’ll have to give this one a try! Thank you for sharing!! I hope you like it! ? Any pasta dinner that includes minimal dishes + gnocchi is a winner in my book. Pinning this one! Yum! This looks great Jen! 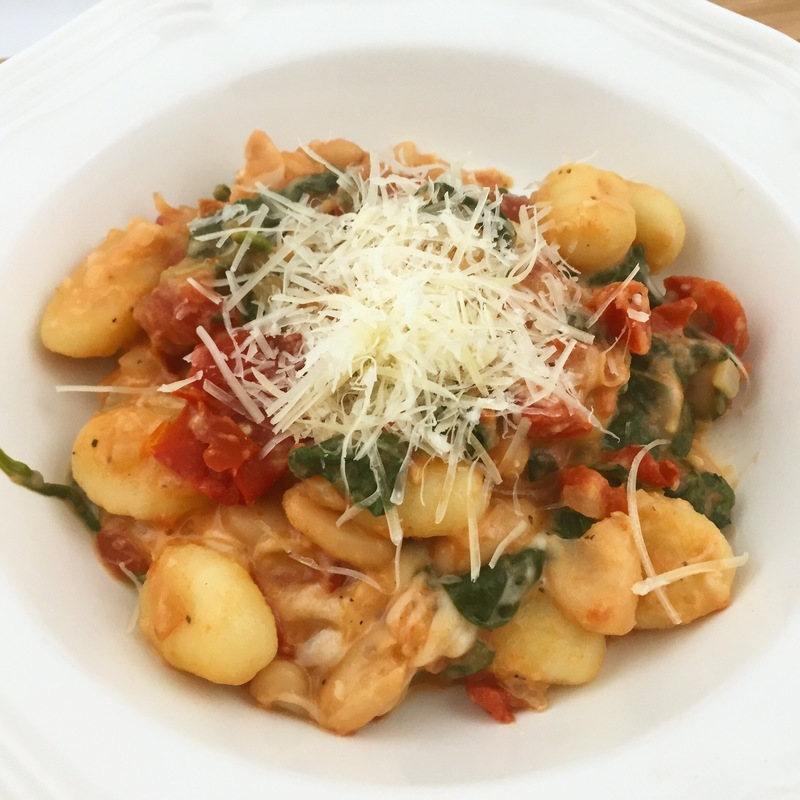 Gnocchi is one of my favorite dishes! That looks AMAZING! this looks so good! we don’t do gnocchi much at our house, but now i’m inspired. question – is your husband a vegetarian? if not, does he ever add in meat to your dishes? I love gnocchi! Jason ate meat for the first year of our marriage, but he’s been a vegetarian for 6 years now. It would be easy to add a chicken breast and make a chicken parm. This looks amazing! I love gnocchi. 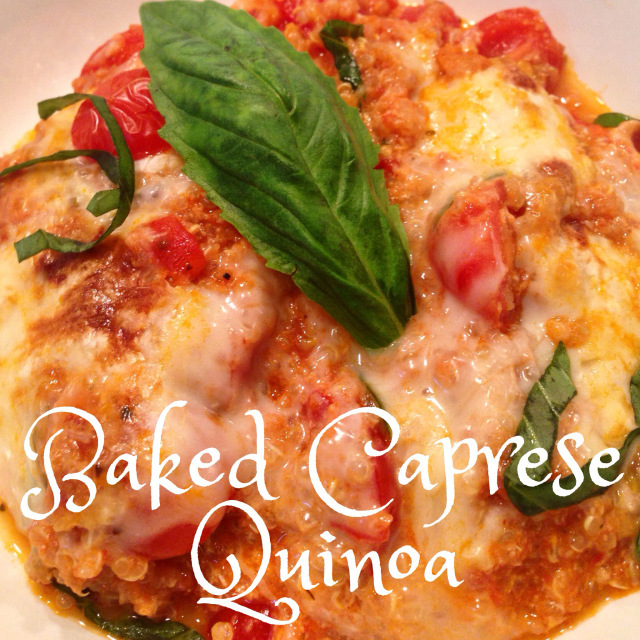 I’m going to try to make this one day this week and will link to your recipe! 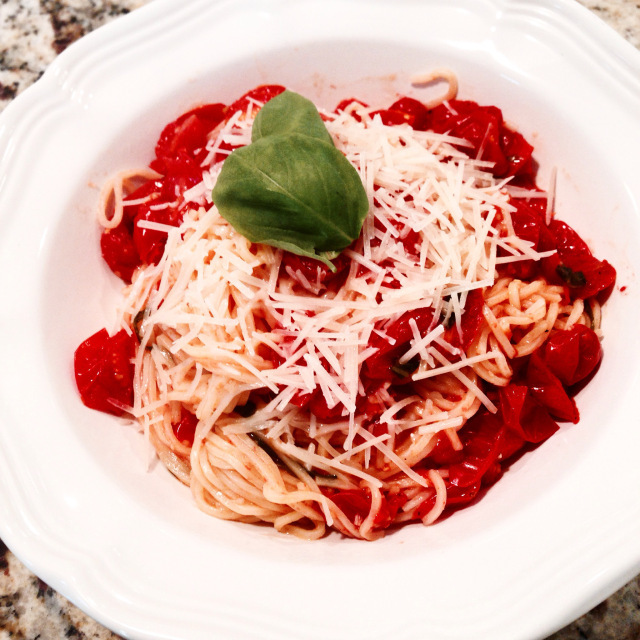 This would be a perfect dinner the night before a long run. Ah I love gnocchi so much! So glad you shared this recipe. I always get my gnocchi at Trader Joe’s and it’s so good! I want to try making it from scratch sometime soon I usually boil mine, but I’ll have to try pan frying too! I love that they get a little crispy on the outside when you cook them in a skillet! 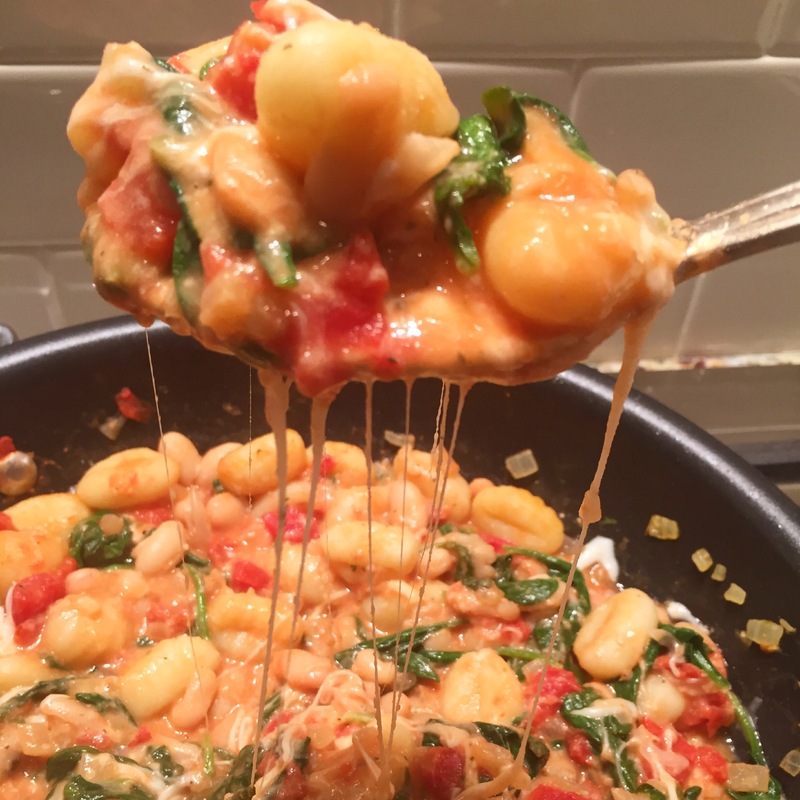 I am embarrassed to admit that I’ve never tried gnocchi; this may be just the motivation I need to give it a try, Jen! This looks so easy and delicious; can’t wait to try it out. 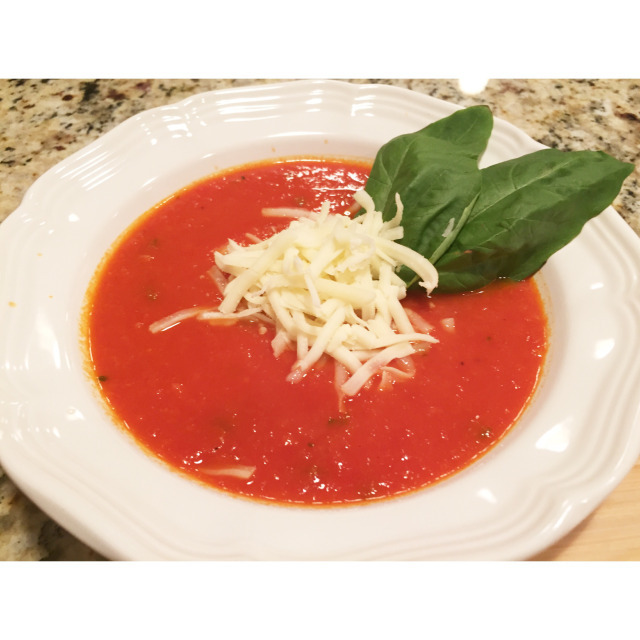 Thanks so much for another yummy recipe! Yum – this one looks tasty! I’ll have to add to my grocery store list! Do you make the gnocchi yourself or buy a certain kind? Recommendations? I don’t have a specific brand, but I buy it in the fresh pasta fridge section of the grocery. I will forever think of it as funny potatoes! Hope they like it!!! I am totally making this. Gnocchi and tortellini are my favourite kinds of pasta!! It’s super simple…hope you like it!!! 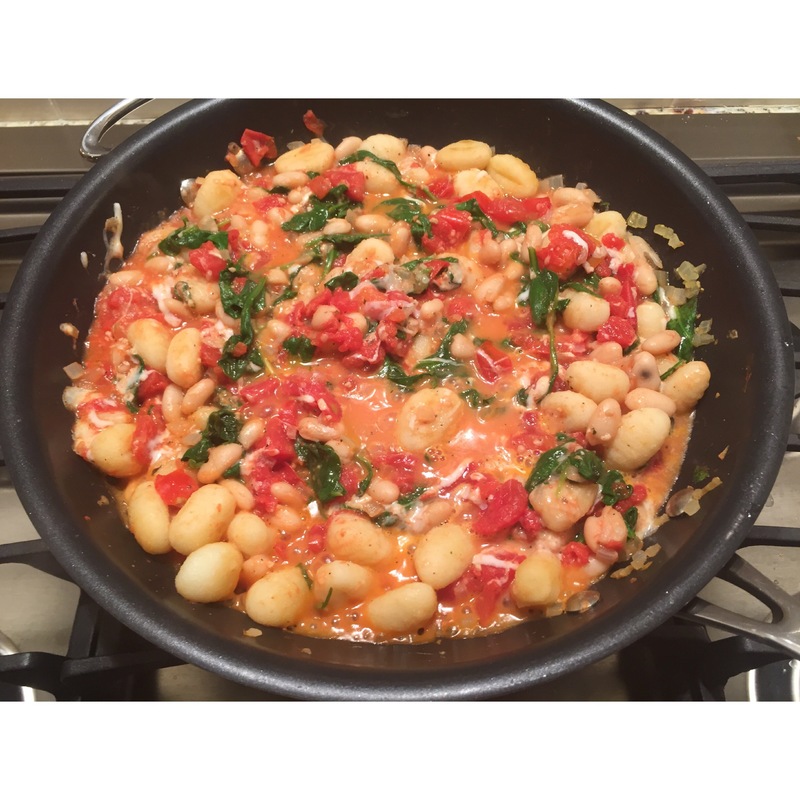 I made your gnocchi recipe last night and it was delish!! Super easy one pot wonder. I modified it a bit by adding some extra seasoning, a little left over pasta sauce I had laying around, and I didn’t have beans so I just left them out. It was so yummy and filling even without the beans! Loved it! Thanks for sharing. Good luck in Boston! I’m so glad you liked it!!! I love easy, flexible weeknight dinners. ?